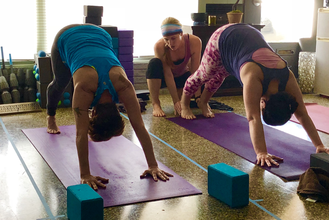 Container Collective Yoga is excited to be hosting Discover Your Power, a 200 Hour Lakewood Yoga Teacher Training over the course of 6 weekends in the Spring of 2019! This RYT 200 hour Training Program is an extraordinary opportunity for you to deepen your yoga practice and expand the benefits into all areas of your life. Discover for yourself how yoga applies both on and off the mat through yoga asana, meditation, discussion, personal inquiry, contribution, community building, hands-on coaching, assisting, and practice teaching. Experience the freedom and effectiveness that emerges from this inspired and embodied practice. "The 200 hour Yoga Teacher Training at Container Collective guided my transformation into a kinder, stronger, more powerful me - both on and off the mat. The training is very challenging & intense but so rewarding. It changed my life & I am so grateful, Brittany. Thank you." **There will be homework on your own time in between training weekends. “This training has created an open, safe, accepting environment to learn how to be me, love me, and be able to show others how to do the same." 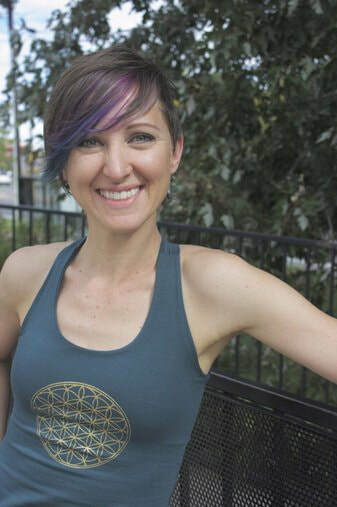 Brittany Hopkins is owner of and teacher at Container Collective Yoga. 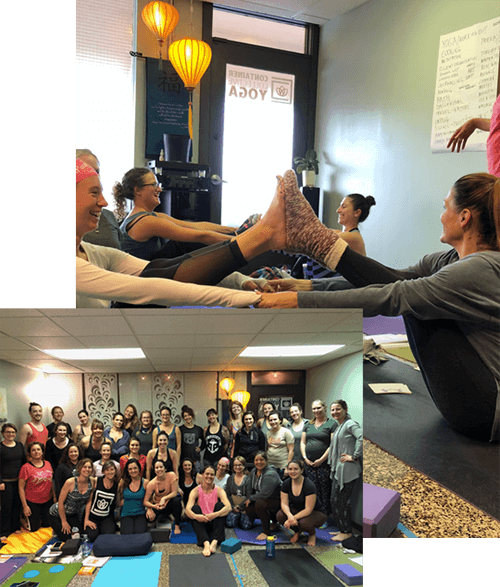 As an YACET E-RYT 750 hour certified Baptiste Yoga Instructor, that has been teaching movement since 1998, she creates space for students to feel comfortable and confident to stretch and move beyond their imagination, on and off their yoga mats. With a background as a professional dancer and dance instructor in Chicago, IL; Central Utah; Denver, CO; and internationally in Beijing, China, her yoga classes are fun, fluid, and challenging, and inspire students to embody a sense of ease and unconditional love that impact their lives outside of the studio. She trained with the Baptiste Institute. She is also trained in Yoga Nidra "Yogic Sleep" and Silver Sneakers Chair Yoga. “Brittany was a fantastic trainer! Her wisdom and grace shines through the course content which really allows her to support us and let the group flourish! Wonderful approach to teaching Baptiste style yoga! "This training is way more than just learning poses. It digs down into your foundation, shines the brightest spotlight on the cracks, holes, missing sections then teaches you tools to rebuild your own foundation stronger than ever thought. It is not easy, it is actually pretty terrifying. Now I feel and act with more integrity, kindness and love....I am stronger....I'm learning to manage stress physically and emotionally." Non-contact hours include time outside/in-between each scheduled weekend and include practice teaching sessions, reading and writing assignments, yoga practice, meditation, and group assignments and activities.